Senon’s search for truth leaves him amazed and baffled. Creating art is his meditation on meaning in the face of a fraught existence. His works on paper begin with fragments of humanity’s ongoing questions. The pairing of words and imagery suggest deeper meaning by creating a dialogue that invites us to support or defy multiple conclusions, how do we help and how do we hurt? His mind is filled with Jagged thoughts, art is the outlet. 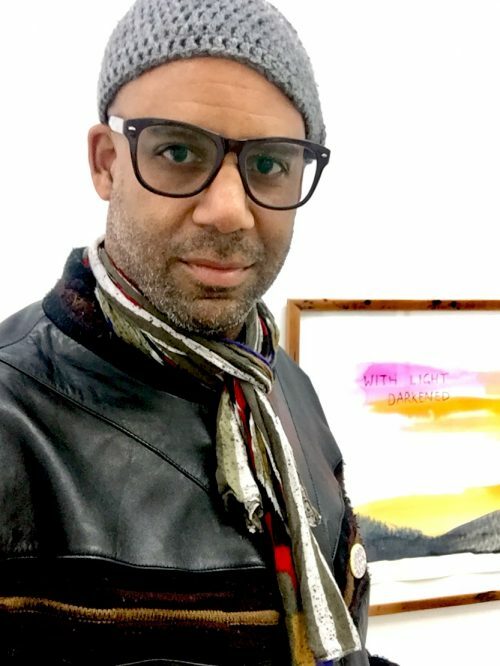 Native to Los Angeles, Senon Williams is a lifelong visual artist and musician. Williams’ work finds space in the natural, exposing outstanding and devastating stages of human evolution. “To provoke thought, a question works better then answers. I enjoy to start a story I resolve in different ways depending on my mood,” says Williams. With imagery ranging from stark silhouettes to lush landscapes and human forms staged in undetermined acts of hope, his pairing of words and imagery suggest deeper meaning. A poignant visualization of the inherent human struggle both ancient and contemporary.